Sometimes busy schedules are interrupted by fun evenings when you get to do something out of the ordinary. Last night was one of those nights. Last night, Jenny and I w ent to a performance of The Music Man. Close enough to the stage to see the expressions on the actors/actresses faces – added to the fun. Another unique aspect was anytime the audience was supposed to applaud, Seventy-six Trombones was playing in the background. Within seconds, random applause transformed into rhythmic clapping to the beat. 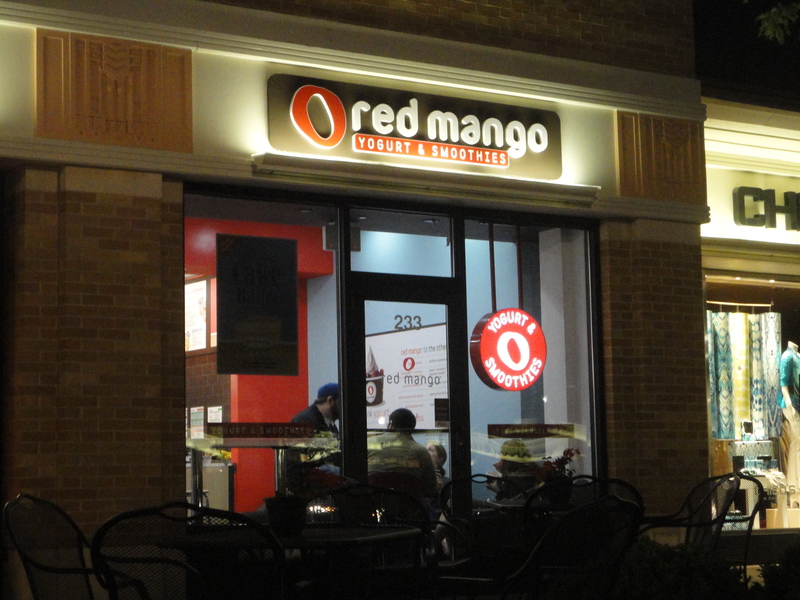 On the way home we stopped at a “first-time-for-me” place for a snack – The Red Mango. This is a growing frozen yogurt franchise with all natural, low/nonfat ingredients. The yogurt is self-serve – you fill your serving dish and then top with a variety of ingredients – everything from chocolate, fruit, cereal, nuts and popping boba. You can taste test the various yogurt flavors – I tested both pomegranate and key lime. Both were good, but I settled on the original vanilla and topped with strawberries and nuts (and a few of the popping boba). I would definitely go back again.